Criticism has been heaped on the council by a group of business owners from the Black and Minority Ethnic (BAME) community who say the authority has prioritised their needs over “Johnny-come-latelies” to the borough. The feedback from a 12 July business engagement event held by the Skills, Economy and Growth Scrutiny Commission was presented to councillors at the commission’s 3 September meeting. The event hosted 23 people who offered up scathing criticism of the council’s lack of communication with the BAME community about business opportunities, sending a message that the needs of new start-ups and large businesses were being prioritised over those of BAME business owners. Addressing the commission, small business owner Yvonne Roberts said: “My impression is the new people coming in seem to be better informed about what was available in the community than people who had been in the borough for a long time. “If the information does get to us, it doesn’t feel like it is aimed at us. There’s a feeling that these Johnny-come-latelies who weren’t even born when we did what we did are getting all the benefits. Cllr Polly Billington (Lab, De Beauvoir) sympathised with the business’ concerns, saying: “The report reflects a lot of conversations I have had with a lot of people who have grown up in the borough who suddenly feel invisible. Other areas identified as needing serious work by the event were support around securing commercial property against a background of increasing rents, and more guidance on setting up, growing and managing a business. Attendees at the council’s event made a number of suggestions to improve council practices, including drawing up a local charter, building a better website for communication with small and medium-sized enterprises, and to offer small business loans to help with investment. Paul Horobin, lead corporate programme manager with Hackney Council, accepted that the council could be doing more in the areas raised by business owners at the event. Horobin said: “We’ve struggled to get a clear picture about what businesses want, so this is very welcome. “This is why we have a programme of work on business relationships. “It’s about what we’re doing now, what we can be doing differently, and if there’s a gap, subject to resources what we can do to fill that gap. “We’re also going to look at practices elsewhere. Some of the best academic research is in the US. 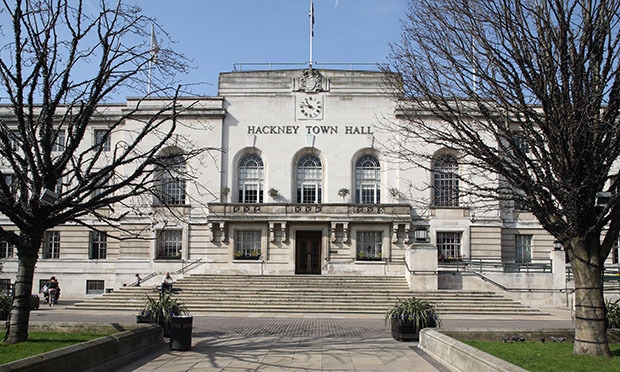 Having been submitted to the commission, the findings of the event are set to be reviewed by Cllr Guy Nicholson (Lab, Homerton), Hackney Council’s cabinet member for planning, business and investment.